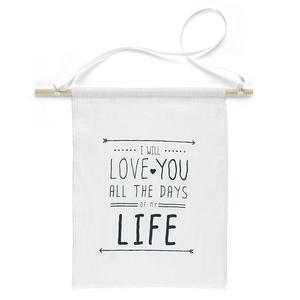 38939 - Linen banner with"I Will Love You all the Days of My Life" printed in grey on the front. Includes 14 1/2" wooden dowel rod and 30" satin ribbon for hanging. 10" x 13"